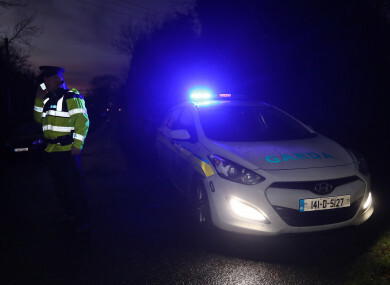 Members of the gardai at the scene where the body was found. GARDAÍ HAVE LAUNCHED an appeal for information after the body of a man found in a field on the Meath/Kildare border yesterday was formally identified. Kane McCormack’s body was discovered in a field at Walterstown, Dunboyne on Saturday. Gardaí have launched a murder investigation into the death of the 24-year-old. The victim’s car, a silver Peugeot 307 hatchback with the registration beginning with ’04 – D’, was parked at the Aldi supermarket in Clonee village at 5pm on that Friday. According to gardaí, after parking his car he got into a black saloon, and this car then left the carpark and turned right towards Dunboyne. Shortly after 6pm on Friday, gardaí in Finglas responded to a call that a black Audi saloon car was on fire just off the M50 at Meakstown Cottages. Investigating gardaí are trying to establish any link between the murder and this black Audi car. Speaking at Ashbourne Garda Station today, Superintendent James Cannon appealed to anyone who was in Clonee village, particularly in the Aldi car park, at around 5pm on Friday and who may have seen either of these cars. Gardaí are also appealing to anyone who drove through Walterstown after 5pm and who may have noticed a black saloon parked on the road (which runs through Walterstown between Leixlip and Dunboyne). Any person who was in the vicinity of Meakstown Cottages or Balseskin Reception Centre at around 6pm and who may have noticed any suspicious activity around the burnt out Audi car are also urged to get in contact with gardaí. In particular investigating officers are appealing to anyone who may have dashcams or who were in or close to any of the locations to contact Ashbourne Garda Station on 01 801 0600, the Garda Confidential Line on 1800 666 111 or any Garda station. Email “Appeal for information on burnt out car in Kane McCormack murder investigation”. Feedback on “Appeal for information on burnt out car in Kane McCormack murder investigation”.